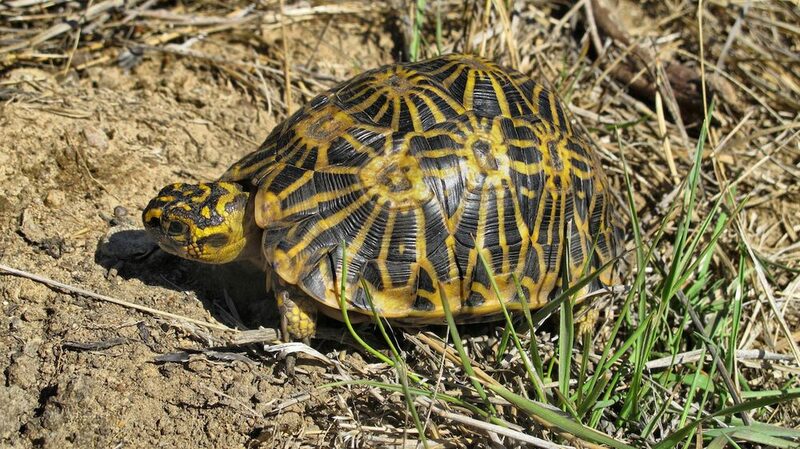 The diminutive Geometric Tortoise (Psammobates geometricus) is one of the world's most beautiful chelonians with its domed carapace and stunning egg-yolk and black radiating pattern. It is the Fabergé Egg of the tortoise world. Fully grown, it reaches only five to six inches. 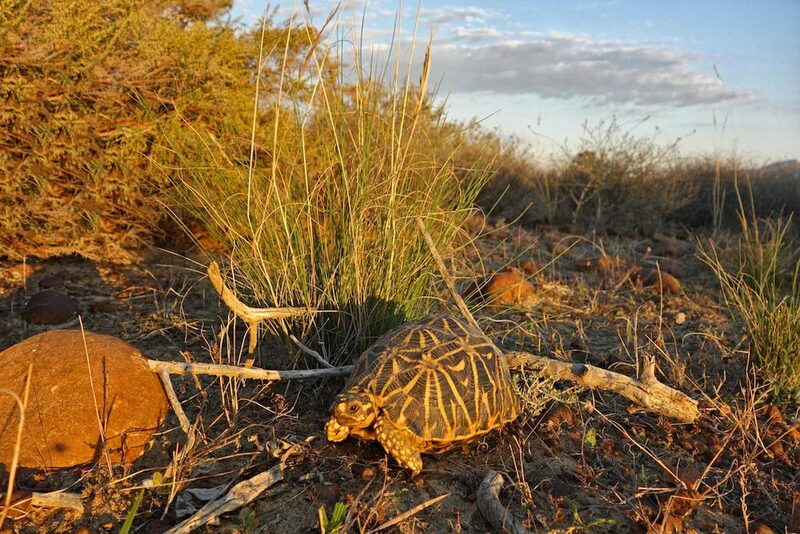 In South Africa, the Turtle Conservancy, along with its partner organizations, has purchased over 865 acres of the last remaining habitat for this critically endangered tortoise, which we are calling the Geometric Tortoise Preserve. We need to preserve this critical habitat to save this beautiful tortoise from extinction. Our preserve is home to this endangered raptor, with fewer than 1,000 remaining in the world. Fewer than 75 plants remain in the world. Our preserve has over 50 of the known individuals. The fynbos holds over 9,000 plant species, 6,200 of which are found no where else. The Fynbos is home to many other reptiles, with over 20 species of snakes. 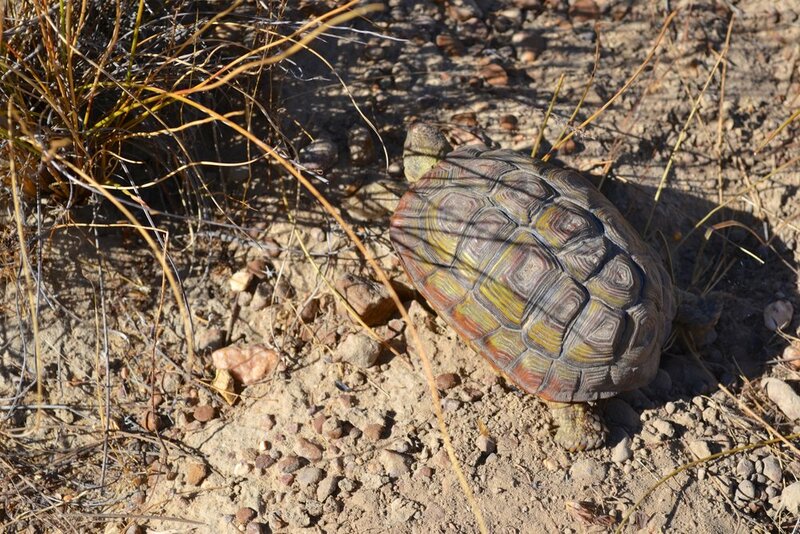 Our new property has a substantial number of Geometric Tortoises, possibly several hundred, and all size classes are represented, indicating a thriving population. Our property is adjacent to other privately owned farmland that harbors the last remaining significant population of Geometric Tortoises. CapeNature, the South African government’s conservation agency, places this area in the highest category of concern. We are trying to raise funds to purchase these adjacent parcels. As a bonus, the property is also home to two more protected tortoises: Bowsprit (Chersina angulata) and Parrot-beaked (Homopus areolatus) Tortoises. Additionally, several species of endangered plants are present at the site. 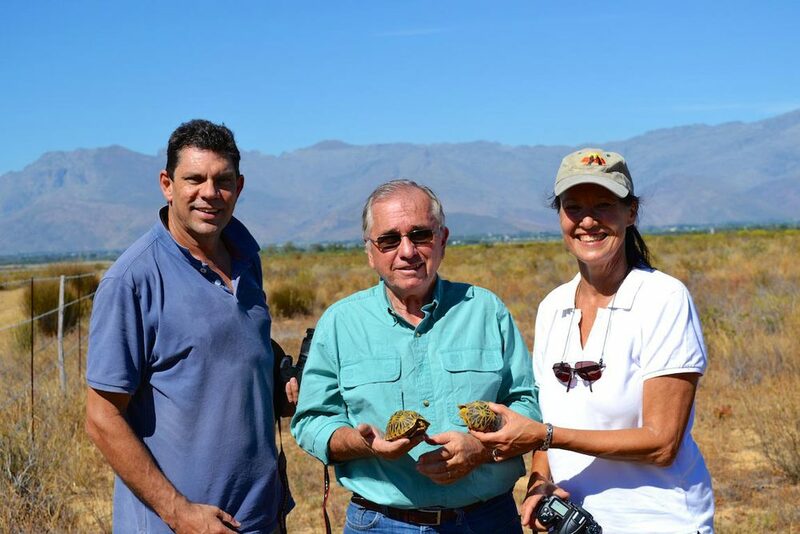 The Turtle Conservancy’s goal is to work with surrounding land owners to broaden effective tortoise conservation management efforts in the entire ecosystem, thus providing uniform protection not only of the tortoises but of all biodiversity in the area. This tortoise is a conservation priority for the Turtle Conservancy. 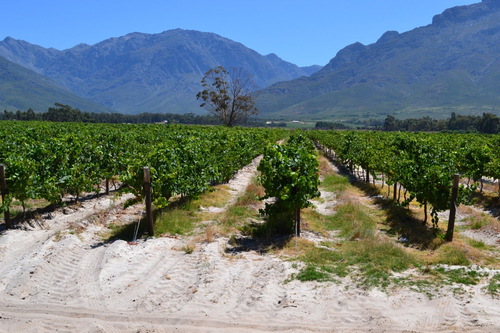 It is currently struggling to survive in its rapidly diminishing shrubland ecosystem located in the southwestern corner of the Western Cape Province. Geometric Tortoises have lost more than 90 percent of their natural habitat, primarily to conversion of the unique native vegetation to intensive agriculture (vineyards, fruit orchards, and wheat fields). Since a devastating wildfire destroyed hundreds of animals at a farm in the region in April 2015, there may now be fewer than 1,000 tortoises remaining in the wild. Fencing protects tortoises from roadways and helps create firebreaks to prevent the mass extinction of fragmented populations. The fencing required will also keep out wild dogs, cattle and possible poachers. We are actively trying to eradicate invasive plant species, especially the Port Jackson Acacia (Acacia saligna). This tree, also known a a wattle, is highly invasive and chokes out native plants the tortoises rely on for food and shelter. The TC is actively working with local farmers to expand the preserve to include additional fynbos habitat. 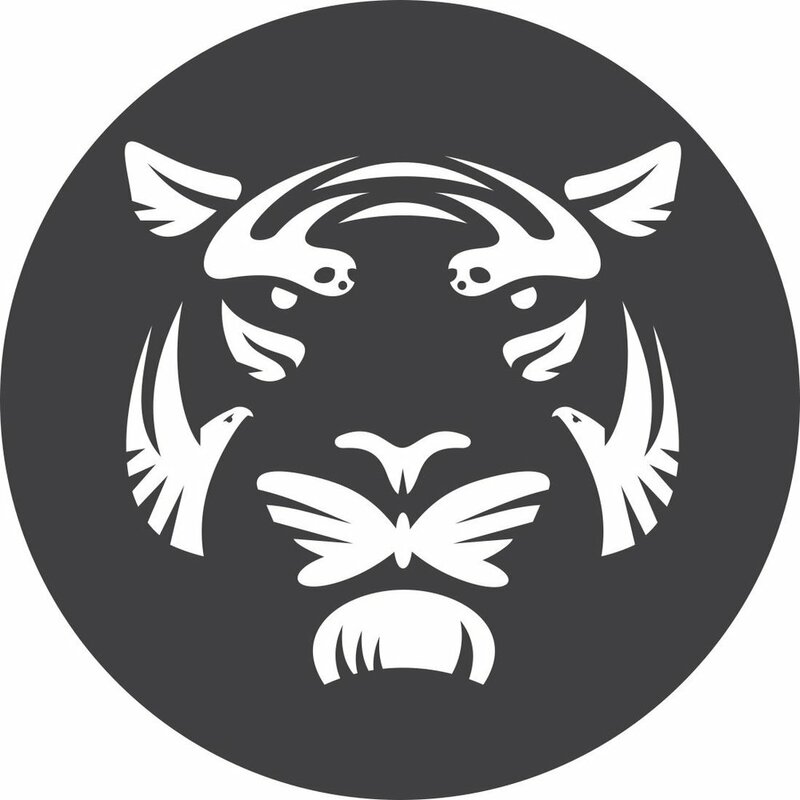 This requires identifying suitable habitat that can link up with the main preserve. The hope is to create corridors of land the tortoises can use to maintain healthy species genetics and link otherwise isolated populations. 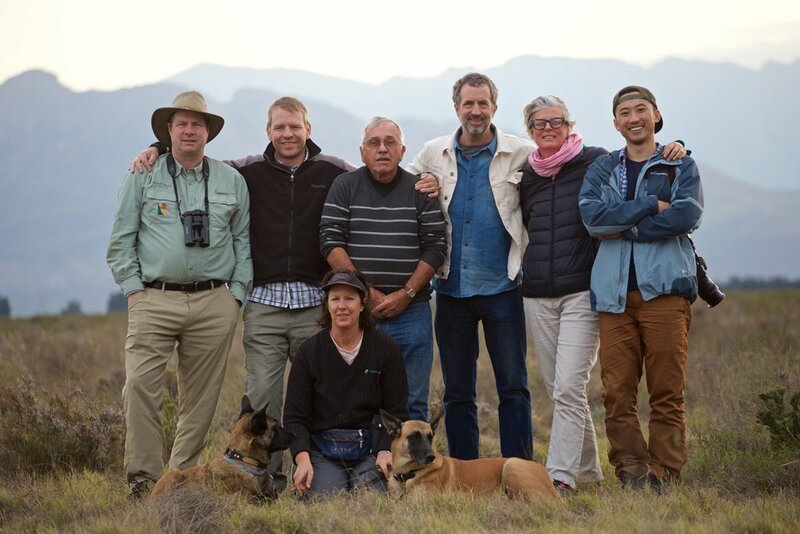 Through our partnership with Cape Nature, the TC's Dr. Jim Juvik has teamed with Vicki Hudson to search for tortoises in the most extensive mark and recapture program ever done with the Geometric Tortoise. These surveys are made possible due to the hard work of Vicki and her specialized search dogs. 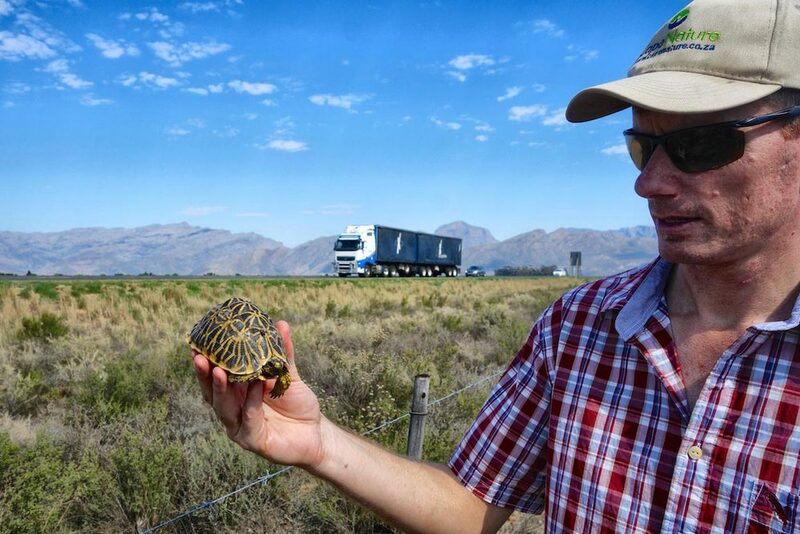 The Cape Nature team has established a successful captive breeding colony of Geometric Tortoises at their secure facility. These animals are being bred with the intent to reintroduce them back into the wild.